Haier, the global leader in Home Appliances & Consumer Electronics and World’s Number 1 brand in Major Appliances for the 9 Consecutive Years*, today announced the launch of its latest TVC based on the recently launched all-new range of Easy Connect LED televisions (B92OOWB series) in India. 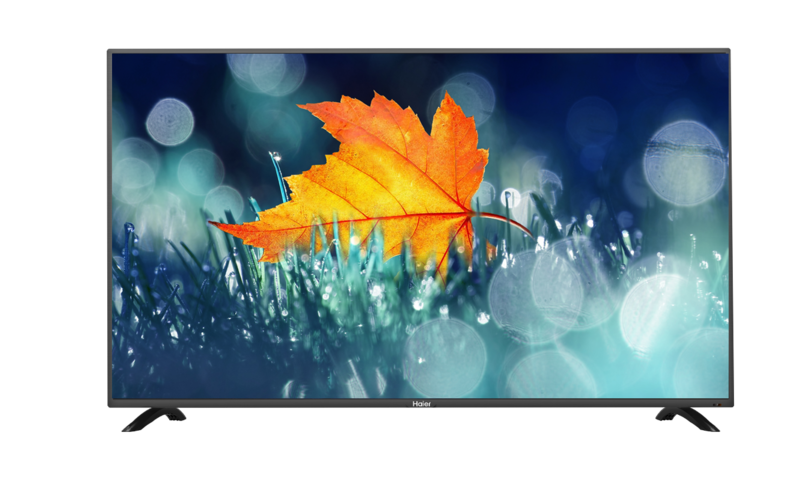 The new TVC primarily focuses on the user benefits of having an LED TV that comes power packed with Smart Share feature, which gives the Android mobile users a smart way of screening their smartphone content on the large screen without Wi-Fi network. The two new LED TV models LE43B9200WB (108cm–Full HD) and LE32B9200WB (80cm-HD) will offer consumers a true smart viewing experience. With an available pre-loaded app like Smart View or Screen Mirroring on their Android mobile phones, users can connect with the built-in Smart Share (Miracast) feature on their new Haier TV and use mobile data to start streaming their favorite content without worrying about setting up a Wi-Fi connection at home. The TVC, conceptualized and created in collaboration with Famous Innovations will premiere on 19th October’ 2018 across leading TV channels including prominent GEC, Movies, News and Sports channels. For a wider reach, the TVC will be aired on key regional channels in languages like Bengali, Kannada, Malayalam, Punjabi, Tamil, and Telugu. Storyboard: The new TVC is a reflection of how the brand mirrors the user’s values and convictions. The TVC showcases the endearing relationship between a daughter and father emphasizing on how today’s generation is more technology savvy and influential in making purchase decisions for the family. The story follows a typical Indian family going through the process of buying the perfect television for their household. Highlighting the features of the new Haier Easy Connect LED TV range, the commercial shines the spotlight on its Smart Share (Miracast) feature that gives the Android mobile users a smart way to stream their favorite content like movies, music, videos and photos from the comfort of their couch. When it comes to campaigns, Haier displays originality and innovation in their overall conceptualization and execution. Following the core brand philosophy of ‘Inspired Living’, Haier derives inspiration from listening to the consumer needs to create solutions that complement their evolving lifestyles. Haier will be taking a multi-prolonged marketing approach for the commercial through various platforms such as Electronic, Print, and Digital. With the ongoing festive season and the spurt of excitement amongst the consumers, Haier has also announced a range of attractive consumer offers. These include Fixed EMI offer with Bajaj Allianz to bring home any product from the premium range at INR 2018 only, unique extended warranties on Haier’s wide range of products and assured gifts across categories. All offers can be availed by consumers across the country until 7th November 2018. Click here for an exclusive preview of the new TVC by Haier India.